Next Post > Next post: Latest SEGA Europe Release Schedule Lists Sonic Generations For PC, 3DS Version Delayed? This is full of WIN right here. Im just hoping there’ll be a psecial edition of Sonic Generations. There cant NOT be! It’s £32.99 on GAME’s website and now it’s £39.99 on HMV’s website, as they raised the price back up £10 today. I’ve had it with pre order bonus rubbish, I’m waiting for the reviews to come in first. I can’t find it in their online store yet =/ but hey ho, so long as the UK has a pre-order bonus, i’m happy! I noticed that too. I’m sure they’ll add it on there eventually. Would rather order the game on their website at £32.99 than pay the inevitable £39.99 instore price. 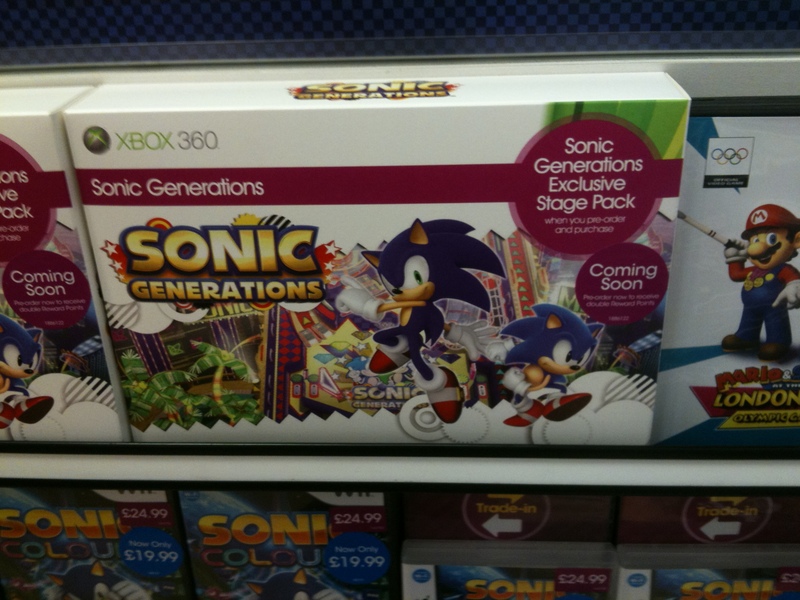 I went into GAME and asked to pre-order Sonic Generations on Xbox 360 and apparently it isn’t listed, only on PS3 and 3DS. So I pre-ordered the PS3 version and when wanting to pre-oder the 3DS version they apparently ran out of pre-order spaces. So i went to another up the road and they don’t have the Xbox 360 and ran out of 3DS too. Am I missing something here or is GAME (One of the biggest game shops in the UK) messing around with me. 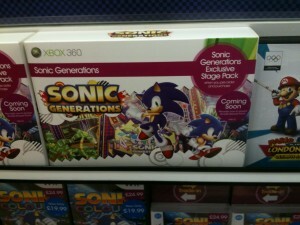 All I want is Sonic Generations on Xbox 360 and 3DS and apparently there isn’t any ! That’s very weird. I don’t think they’d have a complete idea of how much stock they’re going to have in at launch this early on. I’d try again at a later date. Will this pre-order bonus also be available on the PS3 version? Yep, all but the avatar costume. I preorderd it today I preorderd this and a special version ?? ?